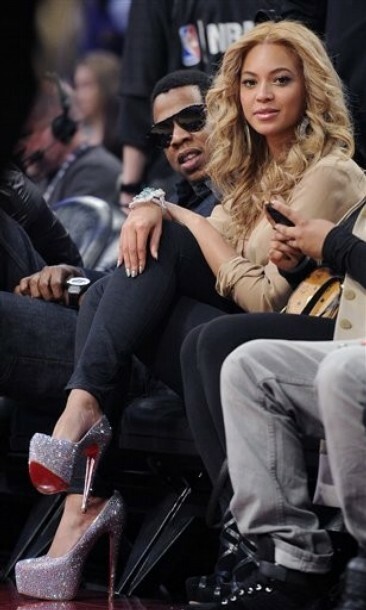 Beyonce was seen at the All Star Game in L.A. wearing Christian Louboutin’s glitter “Daffodile” shoe. This entry was posted in Celebrity, Designer, Fashion, Shoe Whore and tagged Beyonce, Christian Louboutin, fashion. Bookmark the permalink.